DVD-Bugs of the Underworld- Cutter, Extraordinary, award-winning underwater video footage follows the life cycles of mayflies, stoneflies, caddisflies, and other amazing bugs. 11 years, 8 cameras, 3 countries, countless breaths underwater. 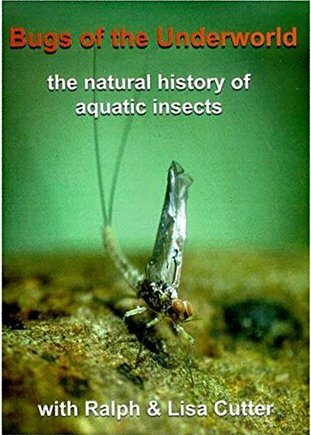 Extraordinary, award-winning underwater video footage follows the life cycles of mayflies, stoneflies, caddisflies, and other amazing bugs. Expertly narrated and original sound track. 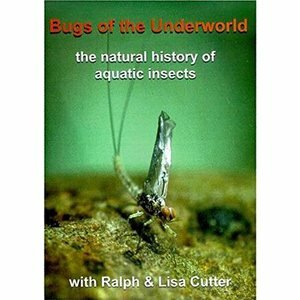 Flyfishers will gain valuable insights as they see how aquatic insects behave and what they really look like to trout! Teachers, parents, river monitors, scientists, and kids of all ages will be entertained and enlightened by this video.